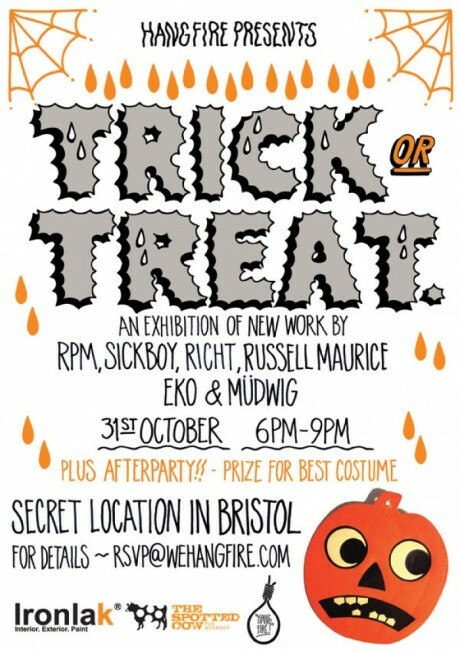 If you’re in Bristol for Halloween then be sure to check out the “Trick or Treat” exhibition on Wednesday, 31st October. You’ll need to RSVP rsvp@wehangfire.com for an invite and get dressed up. For those who are deemed ‘best dressed’, there will be prize. Featuring artwork from from RPM, Richt, Sickboy, Mudwig, Eko and Russell Maurice it’s set to be a good night. 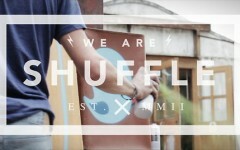 60 original pieces and installations, games, tricks and treats for those who come through the doors first. The location will be revealed the night before the show.